Nanomedicines and Nanoproducts: Applications, Disposition, and Toxicology in the Human Body provides a detailed overview of the disposition of nanoproducts within the body, with a special focus on the respiratory and olfactory routes of nanoproduct administration, buccal exposure and the ingestion of nanoproducts, the integumentary system (formed by the skin, hair, nails, and associated glands), the ocular route, the systemic route, and toxicology as it relates to the nanoscale world. 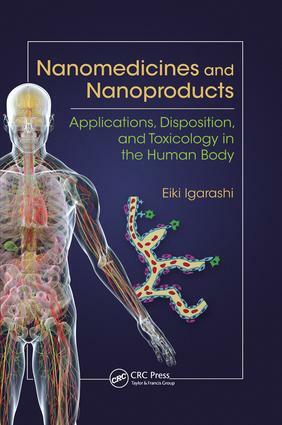 Nanomedicines and Nanoproducts: Applications, Disposition, and Toxicology in the Human Body addresses the scope of practical nanoparticle applications in academic research as well as industrial investigation, where "practical" is defined as advantageous in all aspects of nanoproduct disposition, efficacy, and toxicology. The book’s goal is to introduce potentially beneficial applications and exciting topics regarding nanoproducts to a variety of professional and general readers.